When one mentions the word "dragon", images are conjured up of either the benevolent Asian deities or the more modern winged fire breathing reptiles of fantasy literature. 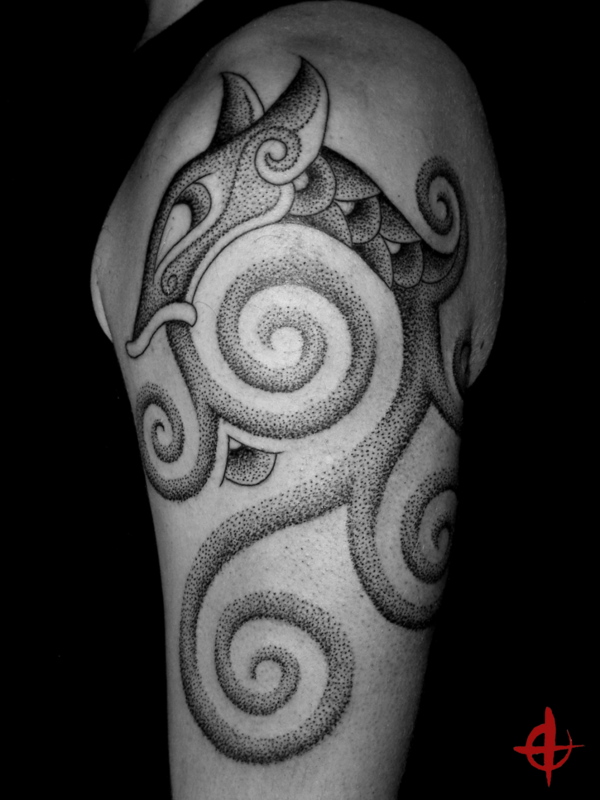 I don't make nāga, ryū, ryō, tatsu or ta-tu tattoos... as I'm not Asian and there are plenty of other tattooists doing this style already. I don't make winged, fire breathing dragons of fantasy either…, but rather "the actual creatures" from which this folklore was inspired. All of these dragons are drawn directly on the body, so please do not copy them... as I would be more than willing to create an original, specifically for you.